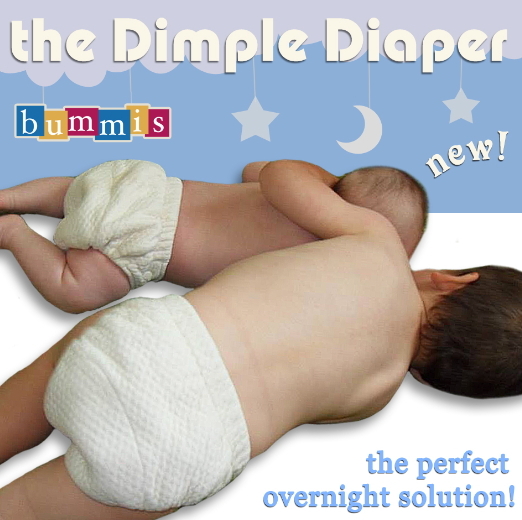 Bummis Dimple Diaper is the perfect overnight solution! Leak-free nights can sometimes feel like a dream, but with this amazing fitted diaper they can be a reality. Soft organic cotton and a super absorbent core work all night long so you don't have to. Wash on warm or hot; use residue-free detergent. Hand dry or tumble. 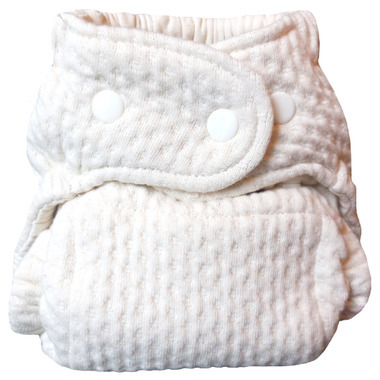 Super comfy for the littles, however once a cover is used (which at night must be used) the diaper is too think and not breathable enough causing diaper rashes. We have resorted to only using in the day without a cover. This worked well for us as an overnight diaper until my son was a little over a year old. Then a rash kept coming back even after I rewash and stripped the diapers of urine. So now we are in disposables until I hear back from Bummis or find another solution. These diapers work amazingly well but after 6 months use (and granted we only have two of them so they get walked a LOT) they are really showing their wear. I am going to have to replace them soon and I expected more for the price tag. But they really do work. Wonderful diaper. My baby slept through the entire night with this on. Super comfortable she even said soft when I put it on. Most expensive diaper I have ever purchased but we both slept through the night so worth it. I used a cover with it as well. Works all night. Super absorbent and doesn't retain residues after washing. I've been torn about what to write about this diaper. As others have mentioned it is really soft - even after being line dried - and it seems well constructed. It is quite absorbent, however, not as absorbent as I would have expected given the huge price tag. You still need a thick booster/insert to make this work. 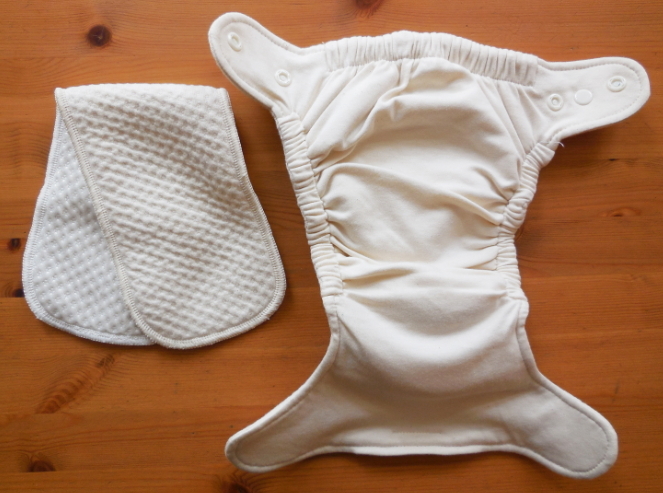 I'm going to be trying other less expensive fitteds before I order any more Dimple Diapers. Overall, very nice diaper - just not worth the price tag for us. Super absorbant, great night diaper! Great nighttime solution. Trim, no leaks. We double fold the booster for up front where we need it most. Fantastic diaper.